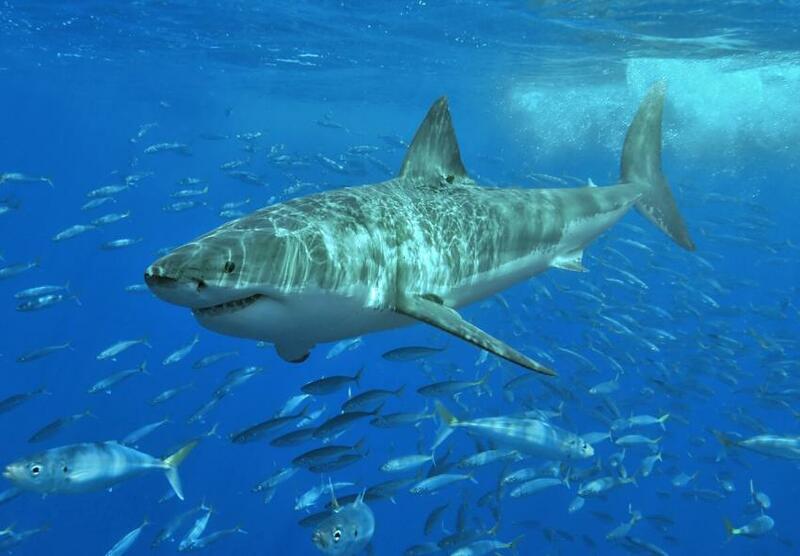 New research from Monterey Bay Aquarium and partner institutions published today in Nature Scientific Reports challenges the notion that great white sharks are the most formidable predators in the ocean. The study "Killer Whales Redistribute White Shark Foraging Pressure On Seals" shows how the great white hunter becomes the hunted, and the elephant seal, the common prey of sharks and orcas, emerges as the winner. "When confronted by orcas, white sharks will immediately vacate their preferred hunting ground and will not return for up to a year, even though the orcas are only passing through," said Dr. Salvador Jorgensen, senior research scientist at Monterey Bay Aquarium and lead author of the study. The research team—which included Jorgensen and Monterey Bay Aquarium scientist Scot Anderson, and research partners from Stanford University, Point Blue Conservation Science and Montana State University—documented four encounters between the top predators at Southeast Farallon Island in the Greater Farallones National Marine Sanctuary, off San Francisco, California. The scientists analyzed the interactions using data from 165 white sharks tagged between 2006 and 2013, and compiled 27 years of seal, orca and shark surveys at the Farallones. "The research in this paper combines two really robust data sources," said Jim Tietz, co-author of the study and Farallon Program Biologist at Point Blue Conservation Science. "By supplementing the Aquarium's new shark tagging data with Point Blue's long-term monitoring of wildlife at the Farallon Islands National Wildlife Refuge, we were able to conclusively show how white sharks clear out of the area when the orcas show up." In every case examined by the researchers, white sharks fled the island when orcas arrived and didn't return there until the following season.